Rev. Dr. M. A. Thomas was born in 1913 in a village in Kerala. He graduated from the Maharajas College, Thiriuvanandapuram. Even as a student, he came under the influence of national leaders like Mahatma Gandhi, Jawaharlal Nehru and Jayaprakash Narain and identified himself fully with the National Movement. Soon after graduation he entered public as the secretary of the Inter – Religious Student Fellowship of which the late Dr. Sarvepalle Radhakrishnan was the All India President. In 1935 he joined Westcott House,Cambridge, England for his theological Studies. He had extensively traveled throughout the world giving leadership at numerous Indian and International conferences. He was radical in his thinking and had the courage to have his wedding without the usual wedding ring. For the wedding saree he gave a khadi saree with a black boarder. In 1950 he was ordained as a priest of the Mar Thoma Church. He was also the President of Amnesty International (Indian Section) and the Association of Christian Institutes for Social Concern in Asia. 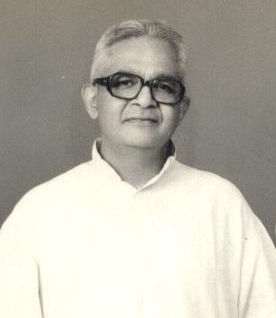 In 1963 he founded in Bangalore the Ecumenical Christian Centre and developed it into a meeting place of all people of all religions and political views. The story of the now Internationally known Ecumenical Christian Centre is the story of the founder’s quest to reconcile all people as children of one God. “Our concern is the nation and the people,” he said and after much deliberation founded the Vigil India Movement. It is not a political party. Its main concern is the common people and their development. To this end, it co – operates with all those forces which strive for human rights. Rev. Dr. M. Thomas is also the author of many books in English and Malayalam and some of his books are translated into the German and Welsh language. Rev. Dr. M. A. Thomas passed away on June 25, 1993 after an eventful life fully dedicated to fighting social injustices, promoting human values, and serving his motherland India with utmost humility, courage and love.